Born in January, 1952, Chen Ziming grew up with the Cultural Revolution and the era of reform and openness after that. Right after middle school, he joined the wave of "send-down" students and spent 6 years in the rural area of Inner Mongolia. In 1974, he was fortunate enough to become a student in the Beijing College of Chemical Engineering. Yet, he was soon reported for having written politically incorrect material in his private letters. He was expelled from the school and sent to a reforming labor camp as a counter-revolutionary. In April, 1976, Chen Ziming happened to be in Beijing and joined in the spontaneous mass movement later known as the April Fifth Movement. He became one of the few visible leaders and participated in the negotiations with authorities. In the ensuing crackdown, he escaped capture only because he was already back in the labor camp. Later, when the verdict of that movement was overturned, he was hailed as a national hero and promised a brighter future. However, Chen Ziming soon participated in the Democratic Wall movement, advocating democracy and freedom. He founded the popular undergrand journal Beijing Spring. Later in 1980, he became one of the candidates in the first-ever election campaign in colleges and was elected a people's representative in his district. 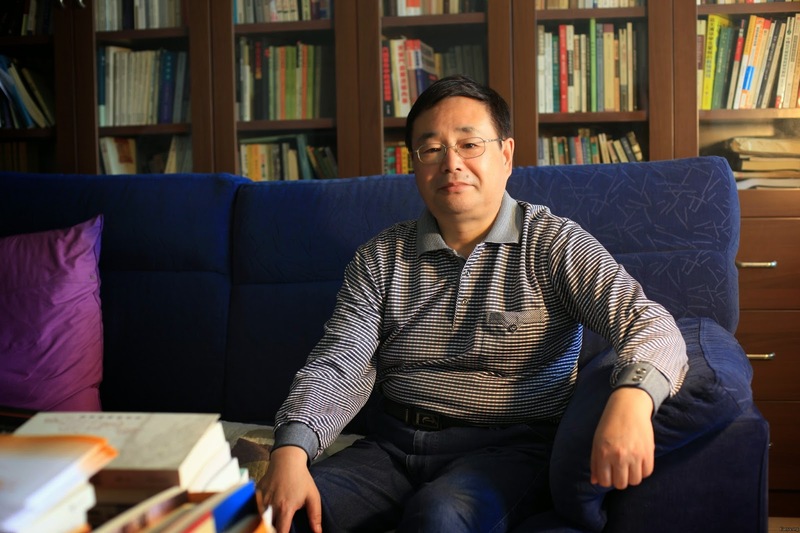 In the 1980s, Chen Ziming took advantage of the freer environment and founded the Beijing Social and Economic Sciences Research Institute -- the very first private think tank in the Communist China. He grew the Institute to possess its own publishing, remote education, journals, and opinion-polling operations and research efforts. Through the Institute, he also gathered and supported many young intellectuals who had participated in the democratic movements and thus had difficulties with authorities. Chen Ziming paid close attention as soon as the 1989 student movement broke out. He made donations for the budding Beijing Students Autonomous Federation and also helped students choose their slogans in the early demonstrations. But because of his background, he kept a low profile. After the hunger strike, Chen Ziming and Wang Juntao set up a temporary meeting place at Jimen Hotel with the resources from their Institute to facilitate communication and coordination among the many factions of intellectuals. Wang Juntao and others from the Institute would then get involved with the efforts to go-between government officials and students and later organizing the Capital Joint Conference to lead the movement directly. But Chen Ziming continued to stay behind the scenes. After the crackdown and an unsuccessful escape, Chen Ziming and Wang Juntao were designated by the government as the "black hands" behind the movement. They each received a 13 year sentence, the harshest of any leaders of the movement. While serving his time, Chen Ziming was diagnosed with pancreatic cancer. He refused the government offer of going abroad as an exile and chose to serve out his sentence in China instead. After his release in 2002, Chen Ziming spent his time writing and participating in limited social activities, including co-signing the Charter 08. In more recent years, he was allowed to limited travel abroad as well as seeking medical treatment in Boston. Chen Ziming died of cancer in Beijing on October 21, 2014.